I rescued a ladybug last week. superhero blockbuster, I will share the details here. I noticed a small orange hump on my hood. Naturally I slowed my speed to ensure a safe ride for my hitchhiker. I inspected the front of my car. 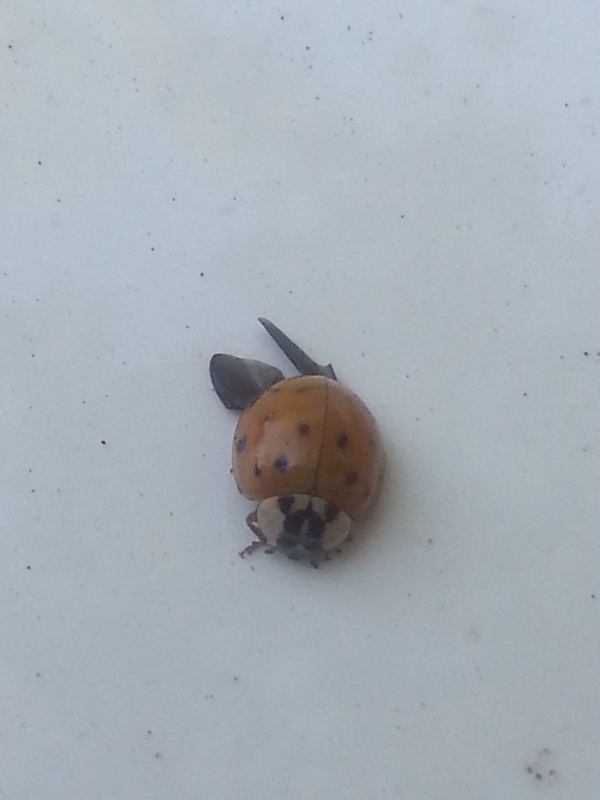 A ladybug had hitched a ride and the landing appeared to be less than ideal. the ladybug’s legs were catapulted into motion. After several attempts at flight, I decided to coax her onto a leaf. 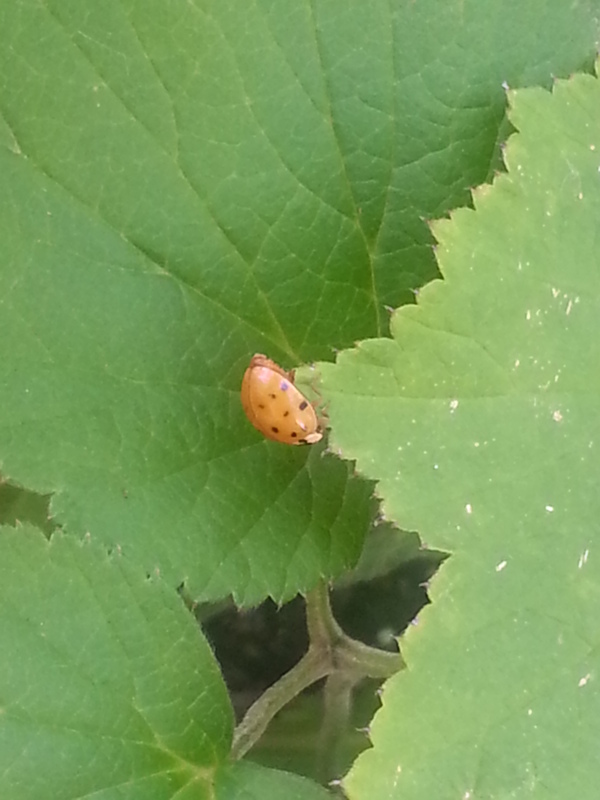 Slowly the ladybug began to cling to the leaf. 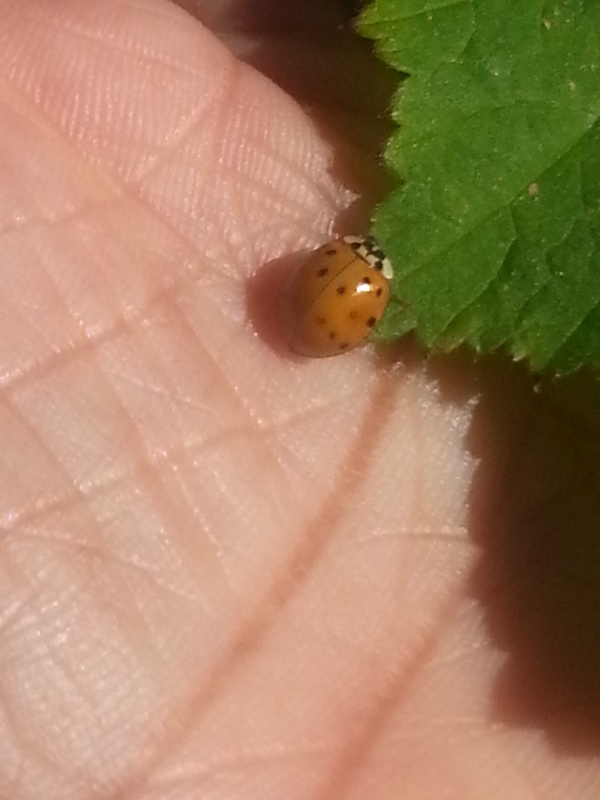 There she remained as I cradled ladybug and greenery in my hand. 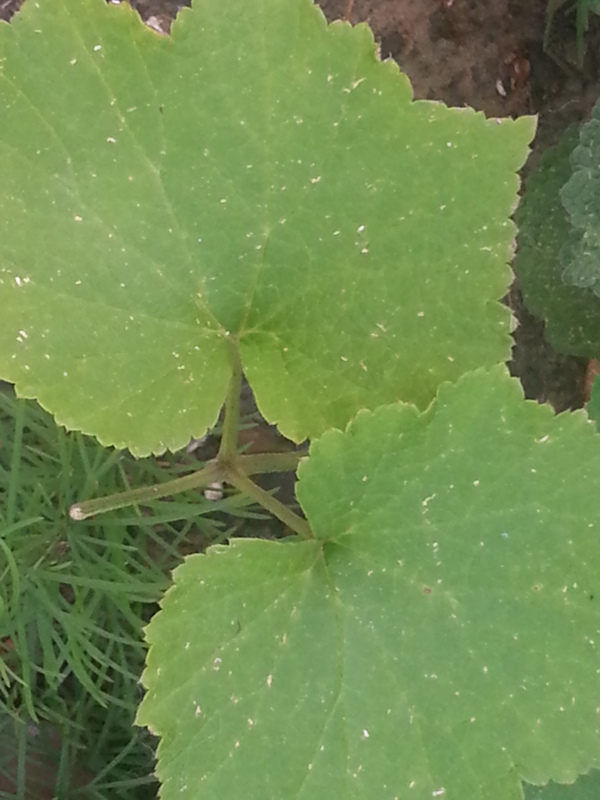 The corner of the leaf was just enough stability. Well as much as I adore ladybugs, I needed to move along. I placed the ladybug and the leaf on top of a bed of leaves. I left my sweet little ladybug passenger to find its way home. 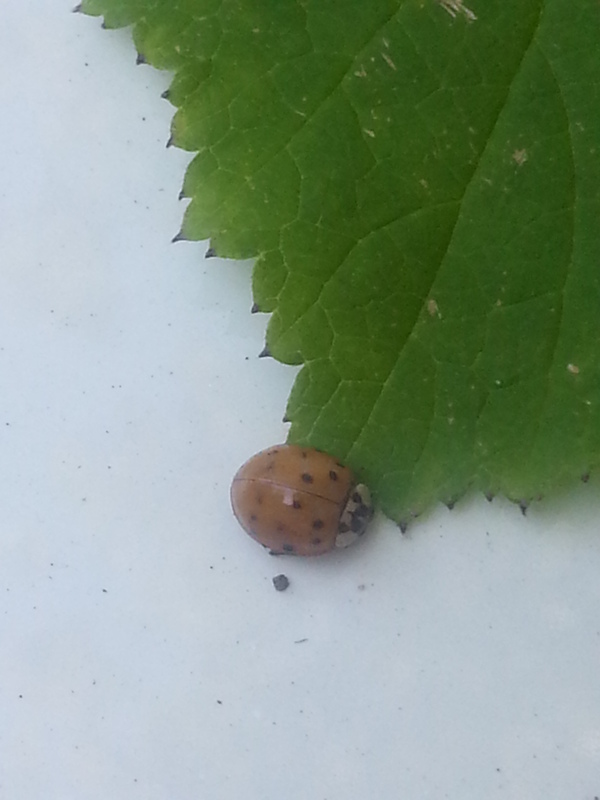 ladybug, ladybug flew away home. but I am well acquainted with a true Rescuer. or even when life has hit me squarely in the jaw. He bends close and assesses the damage. and deposits me in a bed woven by his security and protection. abandons with merely wishful thinking. I never escape his watchful gaze. to bed of safety might simply be a cute story. Each day there is an invisible thread stitching a trail from the Father to you. when you lose your grip. His rescue abilities obliterates quotas. Allow him to fly you home.